The Qosmotec test automation system LTS is a call generator controlling real UEs for circuit switched and packet switched call generation. It is compatible with all commercial handsets, datasticks and industrial terminals supporting AT commands as well as with smartphones operating on Android. 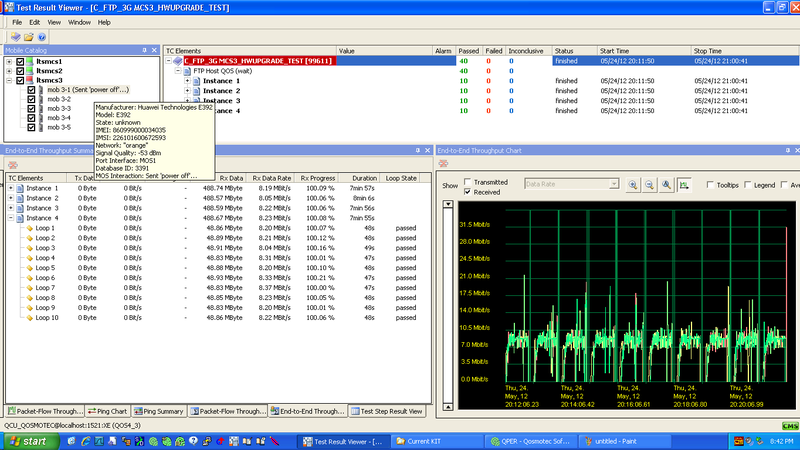 Besides to the call control functionality LTS integrates with various test equipment and utilities for wireless network performance and quality assessment and therefore provides a comprehensive platform for wireless network test automation. In its variant for test laboratories, LTS typically consists of a compact rack setup controlling a large number of mobile phones in parallel. Here, of LTS is usually employed for load, stability and regression tests. Alternatively, LTS can be setup for controlling UEs remotely. 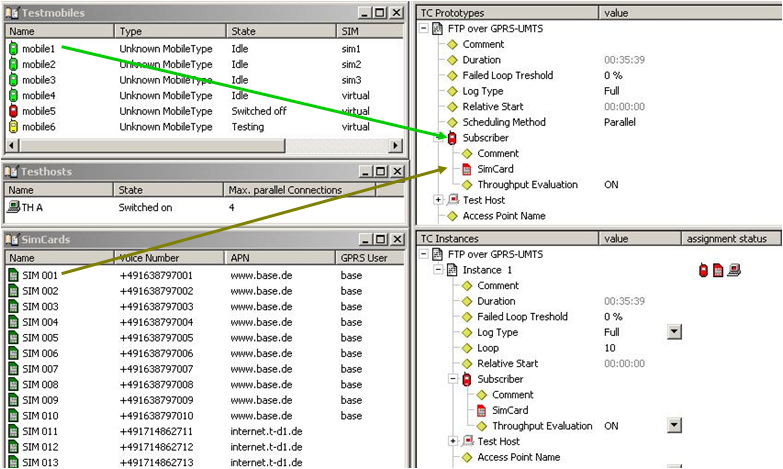 In this application, test probes with up to 8 industrial modules can be controlled via software at any point in the mobile network from a central location. This layout is used by mobile network operators, MVNOs and MVNEs and service providers for functional testing. The LTS test software convinces by its simple and easy-to-learn design. With a few drag and drop actions, testers can create and parameterize big test scenarios, manage a vast amount of hardware resources (e.g. UEs, SIM cards, data hosts) and run the tests in scheduled time frames unattended. Comprehensive result views are available for the executed tests. They show on the first glance the execution success and give more detailed information about the test execution in various windows, which are fully synchronized with each other to facilitate the problem search. This simple execution mechanism applies independent from the system setup: The load & regression tester in the lab is operated in exactly the same way like the functional tester in the field.